Classes take place in the open in the park or in the green corner of the schoolyard. Thus, children have the opportunity to play the exercises they have already learned in natural surrounding and to satisfy their need for sun, fresh air, and movement. The songs of Paneurhythmy provoke a necessity to be in touch with nature and play in the open answers it in a natural way. The awakening of nature is observed and senses for the colors, aromas and sounds in nature are activated. The feelings and knowledge of nature are fürther improved with expeditions for crystals, visits to nature preserves and acquaintance with plant and animal species, cleaning of the forest or the park, cleaning the springs in the region, planting of flowers and trees. 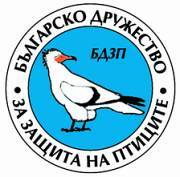 Our partners are Bulgarian Association for Birds’ Protection (BABP) and Green Balkans. April 15th, 2006. "Students of paneurythmia stroked themselves to the boundless treasures of Bulgaria” is the title of the article in the newspaper Thrace ХХ – Dimitrovgrad. We watch the colored array in the fall. We as well mention the colors of the different trees and shrubs. We berry the sheet of branches and fruits. Landscapes and flowers are being ranged from the leaves as well as other paintings. Thus what they have learnt during the lessons and found out in the open among the nature, they express and put into life through their imagination and their road senses. We watched the birds and voted a point on their houses in the wee spring in the park. We did occupation of motion in markup. The senses, the brawns, the memory, the thinking and the volition are being activated and hereby develop. Counting footsteps is nicer than the count in class. Running collaborative motive, verbal and cogitative activities in cycle is a dependable means for bulwarking the volition. 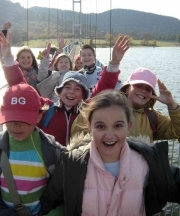 Even the children with problems are being included here actively in the group. The motion in live mearstone to the children with the violated coordination and unsound direction were emended as their attention was kept. At lunchtime, on the shadow they found the directions of the world and a sunny clock was made. The nature obscures dangers and surprises. We must be farsighted and prepared, start surviving at extreme situations and rejoice at felicitous ending. The clambering and the work aloft need always to be made safe. Road senses and organization for proving of first aid are needed. Sharing the activities at framing the tent is necessary. By our presence we renewed the nature, by Паневритмията we experienced it. 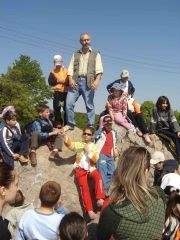 On May 13th,2006 60 students from two schools in Dimitrovgrad and their parents realized the probe, last for the school year, by analyzing mineral and gold sources below the Aida peak together with the specialist Ivan Mitev and the baby bird - variety together with the bird watcher Nikolay Terziev. Ivan Mitev has returned recently from Germany, where he visited the city on the precious rocks Idar-obershtain by an invitation of scientists mineralogists as confession on his attempts for forming the supporting points of the general culture of the students from the whole country of the proof development of the planet. 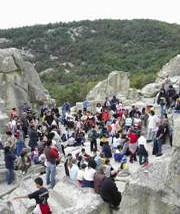 The children climbed up Sharapanite on Mountain Аида, where it is the border, of cohabitation between the two Thracian tribes the Bess and the Odris. They had a lot of heathen cults and customs. The common between them was the idealization of the sky and the land. Bypass They expressed it in the rock mangers that were hewed in the whole area. Ivan Mitev narrated that from Sharapanite the Aida peak the stronghold Dragoina, situated at the foot of the huge Thracian settlement Pulpudeva (today ' s plovdiv ) could be seen, and the Thracian stronghold Small Hisar near the village of Kozlets. There is a direct visibility to the stronghold of Perperikon from where the stronghold on Monek peak above the village of Shiroko pole. The Thracian stronghold above the dam lake of Studen cladenets can be seen from there, and therefore - the Thracian stronghold in Madgarovo. The stronghold of the peak st. Marina near the village of Shiroko pole can be seen from there that is in direct connection with the stronghold Uskudala, today ' s Odrin. The Thracian lit fires and by coloring the smoke with minerals handed - down messages for 30 minutes from Tsarigrad to Pulpudeva. 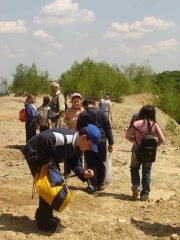 After the trip back in the time the students visited the gold mines of the Aida peak, where it used to be one of the largest gold sources in the world – 400grams gold per tone of rock and reached the nine of Chala, one of the sources in the mine field of Spahievo. In the region the children found lovely designs of semi-precious stones such as amethyst and others, subsequently they continued with the au courant of different worts. With the birder Nikolay Terziev the children saw a black blackbird, and some other rare sorts, heard the cacique and recognized birds idiosyncratic for this region. The finders of the rarest findings received a prize. St. Kliment Ochridski school and Ljuben Karavelov school were rewarded for their live involvement in the exploratory activity with a book for Nature-2000 in which the zones for setting as well development of the defense sorts are set. 70 students from three schools from Dimitrovgrad participated together with their parents in the probe, that is first for this spring, from the plan of teaching reading of paneurythmia. 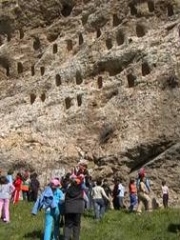 They attended the Thracian sanctum in the scales near the village of Dolno Cherkovishte. They saw how at their aging the young Tracian run down the rocks and built stone deferrals where endowments were left for the gods. Together with a couple of black storks, stone swallows and kites they saw a chancel foreclosed for observation and protection of the entire valley, alike to the bound with Orpheus near the village of Tatul. 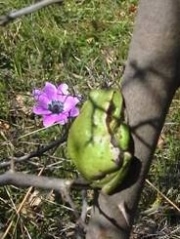 The threatened by extinction turtle, arboraceous frog and the Thracian tulip, a protected sort as well were found by the children near the village of Dolni Glavanak. The little explorers visited the rock set – Chromplex that has been a national monument of the culture since 2001. It is the only Orpheus’s cult monument from that time in East Europe that had been used as well as an appointment book. It is similar to the vast Stonehenge in the UK. 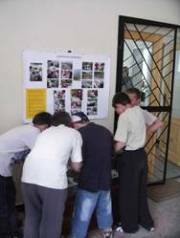 The nature protective center Madgarovo surprised the explorers with a new exhibition which gave an opportunity songs of different birds to be heard, the food chain to be tracked and the different protected vegetable kinds to be seen in the region of eastern Rodopi mountain. Each child received the phone number of the nature protective phone. Finally The Arda river granted the inquisitive with treasures of rare minerals brought here from unknown places. The specialists from the Center priced the most clean agate, the most beautiful amethyst, the biggest opal, most costly mountain crystal and granted the books – “The Imperial eagle – the Dictator of storms” “Protected territories in the region of eastern Rhodopi and the professional magazine “Birds”. 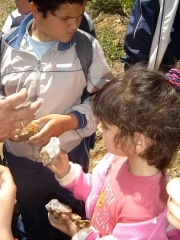 155 pupils and parents from five schools in Dimitrovgrad (Lyuben Karavelov, Kliment Ohridski, Vasil Levski and School for mentally retarded) and one school in Haskovo (Vasil Levski) participated in the search for the fiery opal, "the stone of happiness", in the region of Momina Skala near Kardzhali, led by the mineral expert Ivan Mitev. We went over the longest rope bridge in Bulgaria, 233 meters long. On the nearby hills, children found kept for centuries coral formations in the cliffs, pink, yellow-black, red and many colored coral and obsidian (volcanic glass) and the minerals chalcedony and yellow, leopard, many-colored and landscape jasper. We managed to see the stone of Goethe, resembling teardrops. 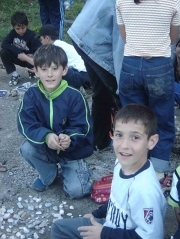 P.Balanova from Haskovo and N.Vucheva from Kliment Ohridski School in Dimitrovgrad found pure pieces of fiery opal. 20 young researchers who had made the most valuable finds received an Encyclopedia of the Medicinal Minerals from A to Z with an autograph by the author, Ivan Mitev. The program sponsor (PROSPAN) provided for the prizes. 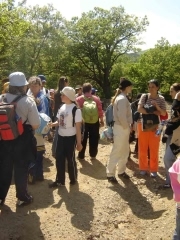 45 pupils and parents from 3 schools in Dimitrovgrad ("Kliment Ohrisdki", "Vassil Levski" and the School for mentally retarded) participated in the expedition to Madzharovo. They were acquainted with protected birds, tortoise, otter, black stork, cliff eagle, and the Egyptian, bearded and white-headed vultures. They found our more about the equilibrium and harmony in nature. Children saw how vultures feed their small ones, and the love dance of a pair of black storks. All joined the cleaning of the forest. 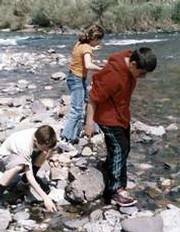 Along the riverside of Arda, the pupils looked for mineral finds: agate, yellow and green opal, red and yellow jasper. I.Donchev from "Kliment Ohridski Schoo"l received the big prize for his entire collection of mountain minerals. Two first prizes received V.Kyoseva from "Kliment Ohridski School" for a big piece of amethyst and A.Emilov from "Vasil Levski School" for a rare find of black opal. For the forest cleaning, all children received a hat from the Ministry of Environment and Waters with inscription: Let us change our behavior in nature! Information on the expedition was published in Orient Express newspaper from 4 and 11 May 2005. 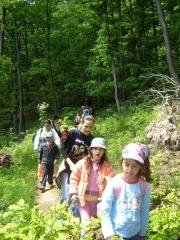 95 pupils and parents from 3 schools in Dimitrovgrad (Kliment Ohrisdki, Vassil Levski and the School for mentally retarded) participated in the expedition to Madzharovo. They were acquainted with protected birds, tortoise, otter, black stork, cliff eagle, and the Egyptian, bearded and white-headed vultures. They found our more about the equilibrium and harmony in nature. Children saw how vultures feed their small ones, and the love dance of a pair of black storks. All joined the cleaning of the forest. 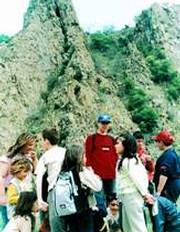 Along the riverside of Arda, the pupils looked for mineral finds: agate, yellow and green opal, red and yellow jasper. I.Donchev from Kliment Ohridski School received the big prize for his entire collection of mountain minerals. Two first prizes received V.Kyoseva from Kliment Ohridski School for a big piece of amethyst and A.Emilov from Vasil Levski School for a rare find of black opal. For the forest cleaning, all children received a hat from the Ministry of Environment and Waters with inscription: Let us change our behavior in nature! Information on the expedition was published in Orient Express newspaper from 4 and 11 May 2005. 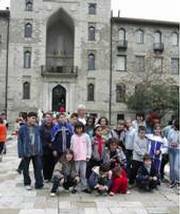 84 pupils and parents from three schools in Dimitrovgrad visited the History Museum in Kardzhali and the ancient town of Perperikon. For most children this was their first climbing experience but the big cliffs and the magic radiated by this place in possession of many kings and rulers attracted everybody. A representative of the History Museum delivered an interesting lecture. We were impressed by the rituals of the followers of god Dionysus and the Orphism, the many sarcophaguses, the water supply and sewage systems, the image of the goddess who helped in the great prophesies, the mosaic that had survived on the floor of the Christian fortress and the fortress wall. We visited Perpereshka river, famous for its auriferous waters, where children found small pieces of red jasper, mountain crystal, smoky quartz, green malachite. Information on the expedition was published in Orient Express newspaper from 3.11.2004. 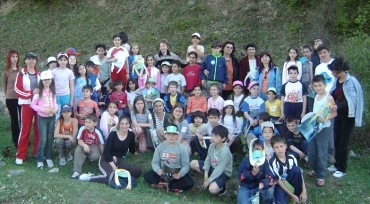 On the occasion of 22 April, Day of the Earth, 36 researchers from two schools and a kindergarten in Dimitrovgrad visited the Nature Preserve Centre in Madzharovo. 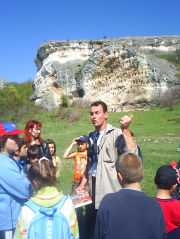 Blagovesta Vasileva told us about the flowers, birds, and minerals on the territory of the Western Rodopi. 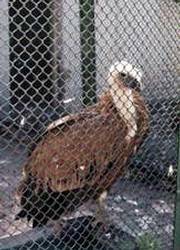 We saw two of the four vulture species: the white-headed, also called health-officer of nature, and the Egyptian, the smallest of its kind. We saw a tortoise awaken by spring. 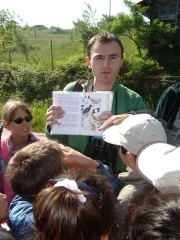 The ornithologist Stoycho Stoychev taught us how to distinguish various songbirds. We heard the finch, the blackbird, the robin, the big titmouse. We saw how the hawfinch feeds their small, the small houses of the bats and the jay-forester. Madzharovo is situated in the crater of an extinct volcano at the Arda riverbanks; this is why half-precious stones can be found there: amethyst, agate, mountain crystal, opal, and orange, yellow, brown, and red jasper. 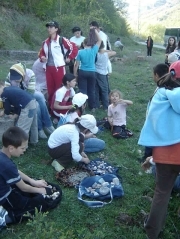 We played a nature preserve game called "Alimentary Chain" with pupils from Madzharovo. Information on the expedition was published in "Orient Express" newspaper from 28.04.2004 and Trakia ХХІ newspaper, #16/ 21.04.2004. Pupils from Dimitrovgrad visited the Healing Centre for birds of Green Balkans association. 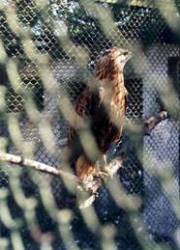 We saw over 10 bird species, which were under treatment. We saw pelicans with wings full of pellets, which will no longer be able to fly because of human intervention in nature. We visited the Horse Base in Stara Zagora. 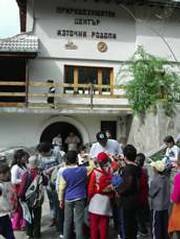 Pupils from Dimitrovgrad visited Shiroko Pole countryside. With the mineral expert Ivan Mitev, they discovered traits from sea bottom: periwinkles and mussels in the rocks and coral formations. We watched teamwork of caterpillars: holding one another, they trusted their leader to choose the road to the place where they will cocoon and spend the winter.